Quotes - Livemedia - Livestreaming and archiving, broadcasting on demand, conferences, congresses, events, courses, webinars, reportage and news. Livemedia web channel. "Amazing team and amazing service!" "Our planning team was very pleased with the beautiful results, thanks to your positive collaboration in our international conference this year. You rock!" "The Livemedia participation seems to have been a great success. 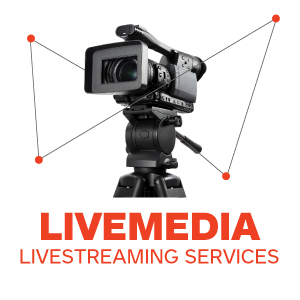 You and your crew were very professional; unobtrusive but clearly effective and I would be delighted to recommend Livemedia to anyone interested in livestreaming an event or conference." "You have done an excellent job documenting the conference. Well done. I look forward to seeing you in future meetings." "Thank You very much. You done a great job in Istanbul. Videos are great. Keep supporting EURO CTO ClUB"